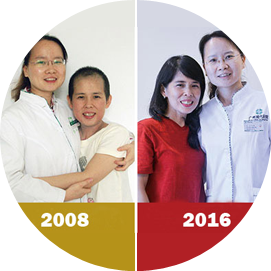 Since the opening in 2005, St. Stamford Modern Cancer Hospital Guangzhou has accommodated over 30,000 cancer patients from Southeast Asian countries such as Thailand, Vietnam, Malaysia and Indonesia, to name a few. The hospital has successfully rendered medical treatment through the innovation of minimally invasive therapies and high class quality medical service. Why did they choose to travel long distance to MCHG for treatment? What are their comments on the hospital? Let’s have a glimpse of their stories and experiences. 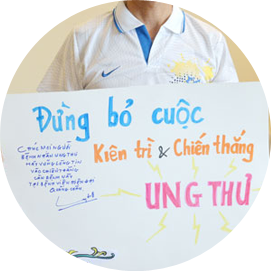 "Indeed, doctors, nurses, translators etc were very accommodating took good care of me, and always concerned about me, who were like my families. Especially I was very grateful to my attending doctor—Dr. Tang." "In March, 2011, I underwent my first session of minimally invasive therapy in MCHG, which yielded great effect. Being so engaged in my job, I didn’t come back for check-up for 5 years. When I suffered from recurrence, it immediately occurred to me that I should have come here for treatment. That time I also brought my brother, who was diagnosed with stomach cancer. To my own experience, I can say that 18 minimally invasive technologies here are worth trusting." Healthcare Professionals Renders Holistic Approach! "So different from my experience in Malaysia, doctors here are patient and friendly. During the treatment, they played music for me to alleviate my tension and help me to relax. I was on the verge of death, but now I have lived a healthy life for 8 years now. All of these attribute to their help. Therefore, the hospital makes me feel like at home." 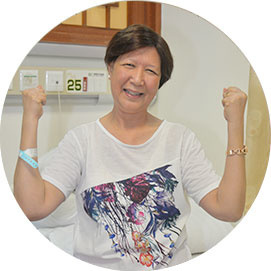 "After I went through 5 sessions of interventional therapy, my tumor gradually gone and I’m now in good condition. Although I came from a foreign country, the service which provides 24-hour Thai translation addressed my concern on communication. Experience here is convenient and I can cook on my own."